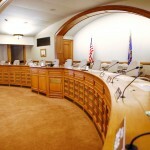 On the Tuesday, July 9th A Public Affair, host Carousel Bayrd was joined by Representative Terese Berceau and Representative Melissa Sargent to discuss the local impacts of the Wisconsin State Budget. Specifically, both Berceau and Sargent expressed their concern over the huge expansion of voucher schools. 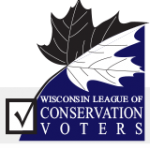 You can learn more about the development and growth of the voucher school program from both of these older A Public Affair archives: School Privatization and WI Budget. These private organizations, which are usually religious, have lower student performance and are not accountable to the public, are funded under this program by taxpayer dollars and at the detriment of the public school system. In fact, voucher schools are even more expensive than public schools, and are causing a rise in property taxes. Since public schools, especially in Dane county, are also cornerstones of communities, this is particularly worrisome to the two representatives. In fact, they even raises questions of constitutionality if public dollars are being used to pay for a religious education. In addition, both representatives talked about the hypocrisy of a budget that creates a deficit and contains non-budget line items from a party that two years ago was condemning non-fiscal budget provisions and preaching the importance of fiscal responsibility. Although Wisconsin can be a divided state, most people agree that family-supporting jobs are the most important thing to focus on – and that is not what this budget has done. 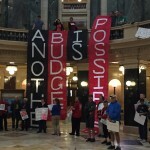 Berceau and Sargent called for coordination beyond Madison in order to fight back against the effects of this budget and it’s implications for Wisconsin families, workers, schools and society. 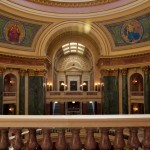 Read Scott Walker’s budget announcement and explanation of voucher schools here.